Country club course conditions at affordable prices. Golfers wishing to experience truly challenging golf in a beautiful setting need go no further than Meadows Golf Club. 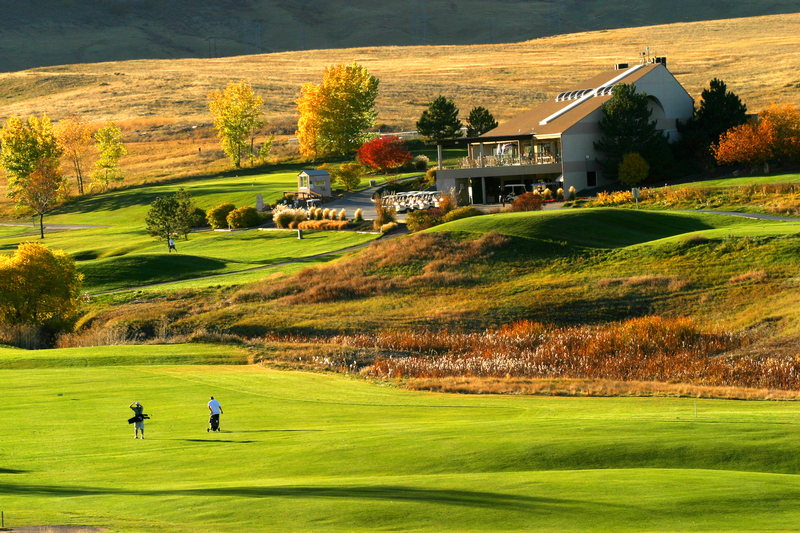 Nestled against the foothills of the Rocky Mountains in the southwest Metro area, Meadows offers “country club” course conditions at affordable pricing. The links style layout stretches to over 7,000 yards from the back tees yet offers forward tees measuring some 5,400 yards. 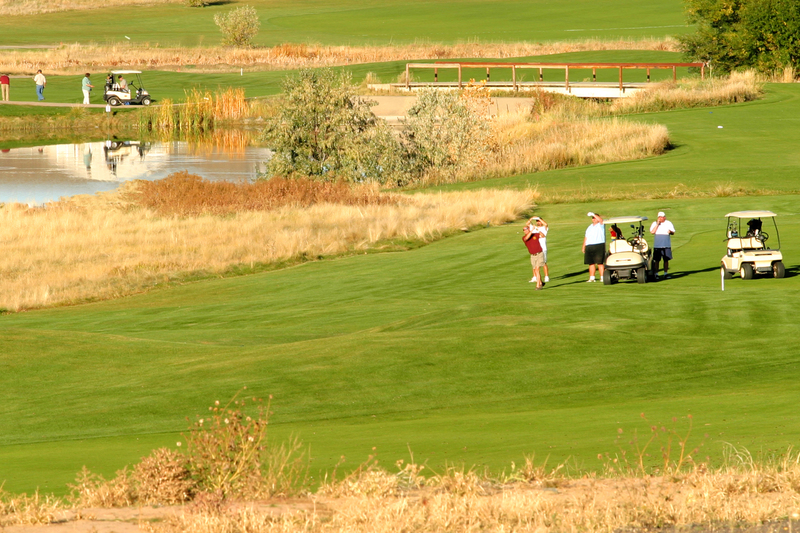 The combination of bunkering, water and native grass areas gives the Meadows a “target oriented” character. 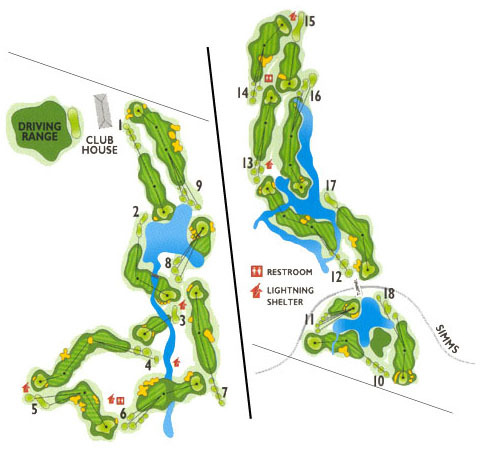 The signature 8th hole is a par 3 that plays to 211 yards over water to a well bunkered, oblong green that slopes severely from back to front. The Meadows opened in 1984 and has since hosted numerous State qualifiers and championships. Visit Meadows Golf Club and truly experience what golf should be! The Meadows Golf Club is a beautiful setting with wildlife throughout the golf course. We have Owls and Hawks that nest and have their young here, Coyotes, Fox, Blue Herons, Eagles, and an occasional sighting of an Elk or a Bear. The native areas are a host to smaller animals such as Rabbits, Prairie dogs, Voles, and Snakes. The west end of the course extends to C470, and the east end all the way to Kipling. For walking golfers it offers a great workout, and of course we have a large fleet of carts for golfers who like to relax during their round. When the round is finished we have a full service restaurant and lounge, “The Meadows Grill” has a great variety of food and drink items, which is the perfect way to finish up the day. The Grill is under new management for 2006 and they are anxious to impress the golfers! Come out and visit us, you will have a wonderful day and The Meadows Staff is, “Committed to Providing a Thoroughly Enjoyable Golf Experience”. The Meadow Grill offers a delightful menu of exceptional fare. Premium selections include our traditional breakfast medley, grilled specialties, refreshing salads and more. The restaurant accommodates up to 150 guests for parties. The Meadows Grill is open daily, to the public, for breakfast and lunch. The Meadows Grill successfully hosts a variety of celebrations! We have created a unique experience to suit your every need. The view across our breathtaking 18-hole golf facility, complimented by the beautiful rolling hills and mountain views creates the perfect backdrop for a special day. Incomparable sunsets compliment gourmet dining in our cozy restaurant.